Understanding the complexity behind today’s sophisticated railway systems will give you a better insight into how this safe and reliable transportation system works. We will show you the many factors which are involved and how multiple people, behind the scenes, have a daily task that enables you to get from home to work. Journey with us into the world of rail – a complex system that connects people, cities and countries. Railway systems entail much more than a train and a track. They are based on advanced technical and operational solutions, dealing with continuously changing demands for more efficient transport for both passengers and freight every day. Each system consists of many components that must be properly integrated: from trains, tracks, stations, signaling and control systems, through monitoring, maintenance and the impact on cities, landscape and people. This integration is the big challenge and the source of many train delays, inconvenient connections and other issues that impact our society. This engineering course attempts to tackle those issues by introducing you to a holistic approach to railway systems engineering. You will learn how the system components depend on each other to create a reliable, efficient and state-of-the-art network. How do railways work and how did they evolve over time? What factors give rise to everyday issues? How do different components of the railway system interact? What is the effect of train stations and the network from an urban, social and economic point of view? What can be done to improve the monitoring and maintenance of tracks? How are timetables designed in a way that balances passenger demand with the capacity of the railway and is adaptable to handle unexpected disturbances? What can be done to prevent and deal with disturbances caused by external factors and how do they affect the whole rail system? How does the design of railways influence their performance over time? A new serious game has been designed for this course to guide you through the process of decision making while building a rail network and maintaining it. Cities have to be connected in an ever-changing setting, dealing with wear, capacity, developments and disturbances. What choices do you make and how do they affect the performance of the system? 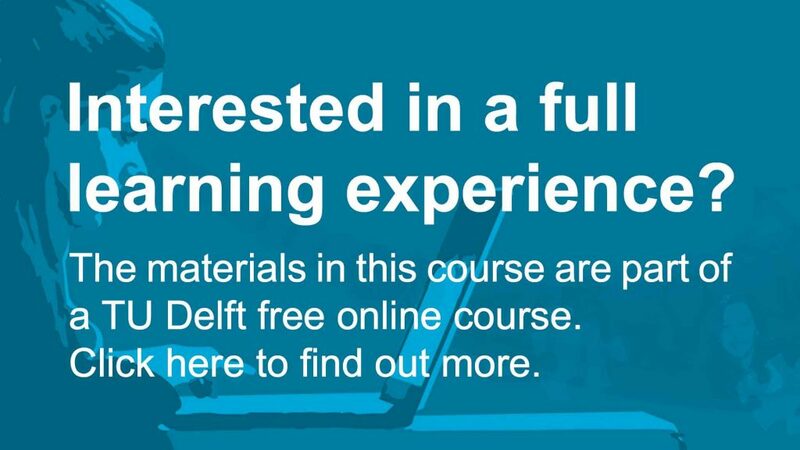 For this course, our very own TU Delft Measurement Train will be used to give you insights of the track and vehicle design, real-life monitoring and pantograph/catenary interaction. Together with the game this will give you the opportunity to see real-life examples and implement the knowledge you learn in a simulated environment. Railway Engineering: An Integral Approach by TU Delft OpenCourseWare is licensed under a Creative Commons Attribution-NonCommercial-ShareAlike 4.0 International License. Based on a work at https://ocw.tudelft.nl/courses/railway-engineering-integral-approach/.